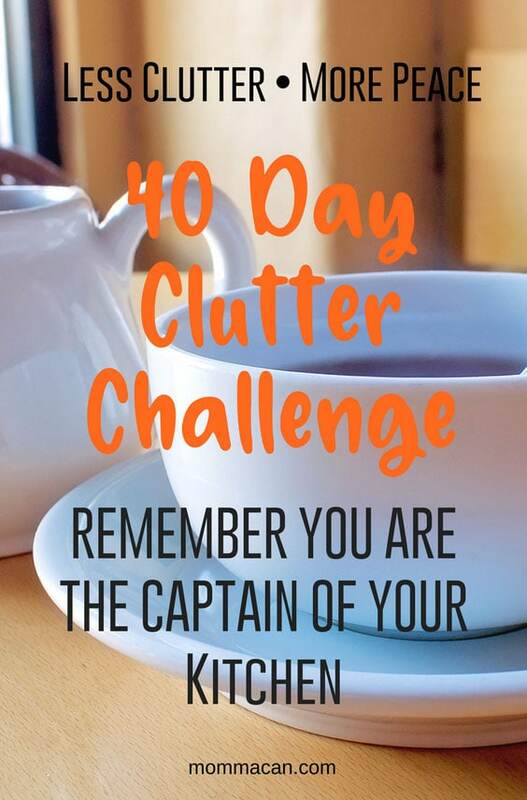 Yesterday we began our 40 day Clutter Challenge. I have been very blessed to welcome several new subscribers to our happy community and hope that they will gain confidence and peace in the remaining 39 days of our journey. As I completed my 12 items and simple tidy session at my desk I was happy to see quite a few needless items hit the trash can and found several pens to give out to people I meet throughout the week. 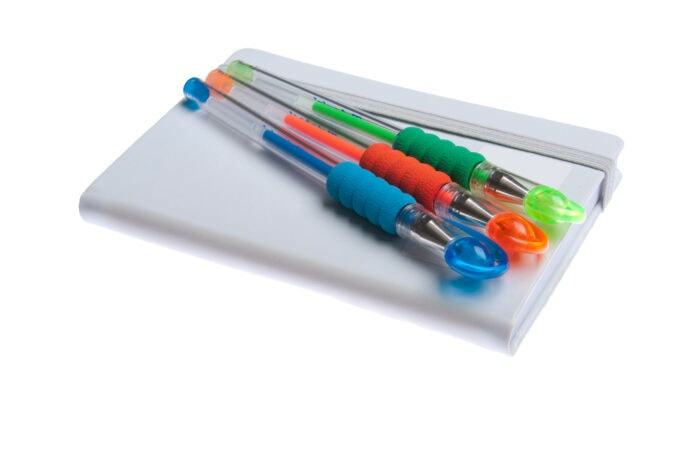 Have you ever been to a restaurant and the poor waiter has no working pen? I keep a few in my purse and tell them to please keep it and thank them for the meal. It is the little things in life that are our pebble in the pond rippling to create and encourage our kind hearts and in turn encourage the hearts of the people we meet. My desk is a bit neater but could use one more session, apparently, I am quite the collector of office supplies and backup ink cartridges and we will not mention the ridiculous amount of washi tape. Did you find any treasure during your challenge yesterday? Did you manage to free yourself of 12 un-needed items by either throwing them away, donating or giving them to a friend in need??? Download our free workbook to help keep you motivated throughout the 40 Day Clutter-Challenge. Totally free to subscribers of our totally awesome newsletter! Why on earth is she talking confidence when we are supposed to be talking about peace and clutter? Because your kitchen is the hub of your home and you simply need to remind yourself that you are the captain of your kitchen and therefore in charge of how much stuff is in it, how much time you should be spending taking care of that stuff and how much stuff you really need to have a functional kitchen. An organized, peaceful, functional kitchen creates an atmosphere of peace and an atmosphere of energy. 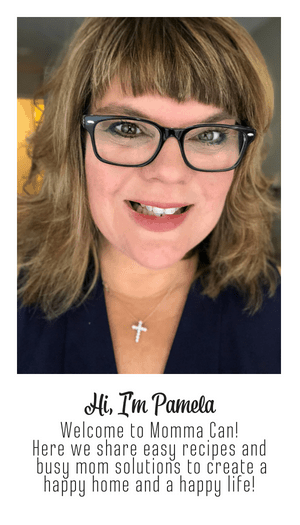 You know that feeling that you really do have time to cook a simple, healthy, yummy meal for the family because you counters are clean, you can find the can opener and you managed to have time to go to the grocery and pick up some pantry staples. These are all the benefits of less stuff, less chaos, more order and more peace. Do I use this item often? Have I never used this item? Did I try it once and discover it was just not for me? 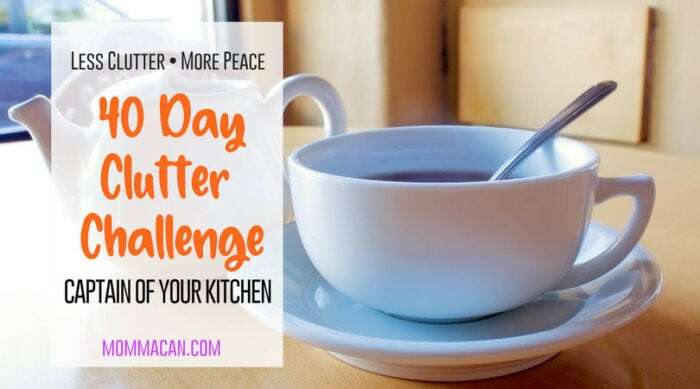 Remember our goal for the day is to remove 12 items of clutter from the kitchen. This may not mean the kitchen utensils at all. It might mean you looked at the kitchen and found 12 Soda pop cans that were ready for the recycle bin or 12 not-really-needed ketchup packets from six years ago. Search your heart. I am almost certain that I could do with less kitchen clutter, especially in my seasonal items. Almost all kitchen prep can be done with a good chef knife, paring knife and a peeler. As soon as you finish asking what to keep, what to donate and what to toss out the remaining items neatly away and smile You are sailing into this process with excellent progress and learning to be Captain of your Kitchen! In case you missed day one here it is. 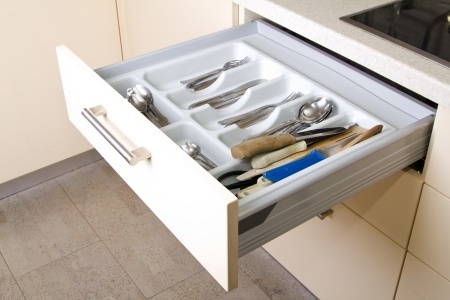 TOMORROW – We will be again in the kitchen with the Junk Drawer and Kitchen Linens. Outdated and mostly eempty spice hit the trash can woot woot! !